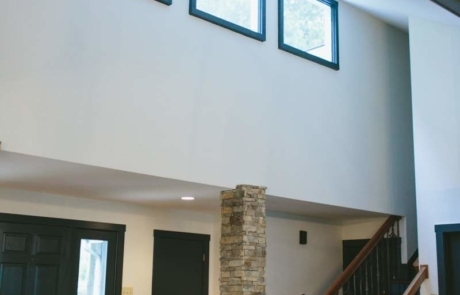 This home located in South Charlotte and was built in the 1970’s. 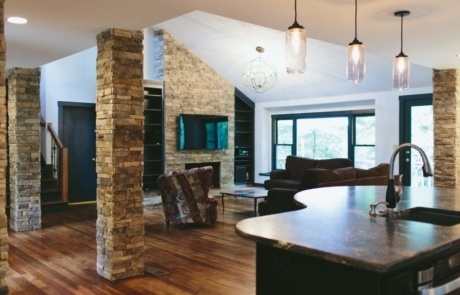 Originally, it had a sunken living room and walls separating the living room and kitchen areas. 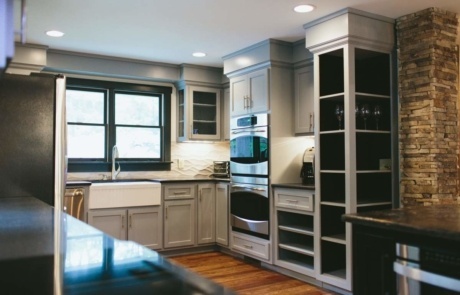 It also had many outdated finishes. 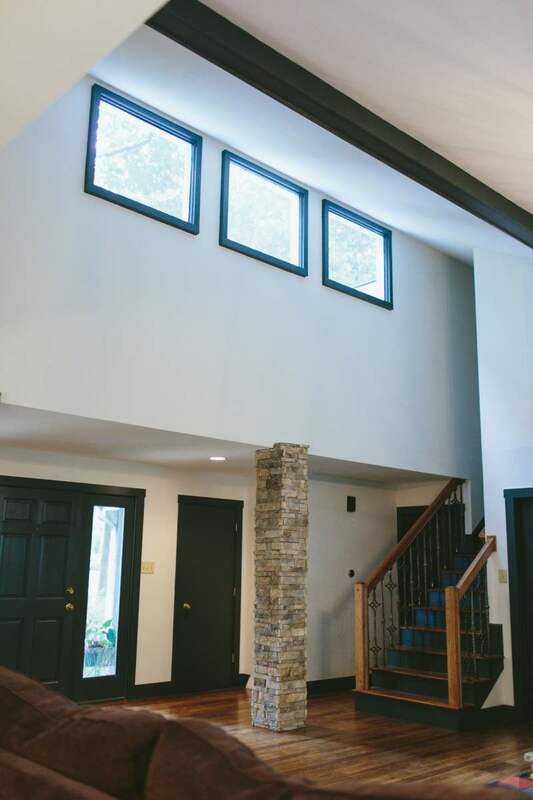 We fully gutted the kitchen and tore down the walls between the dining room and living room, opening up the entire first floor. 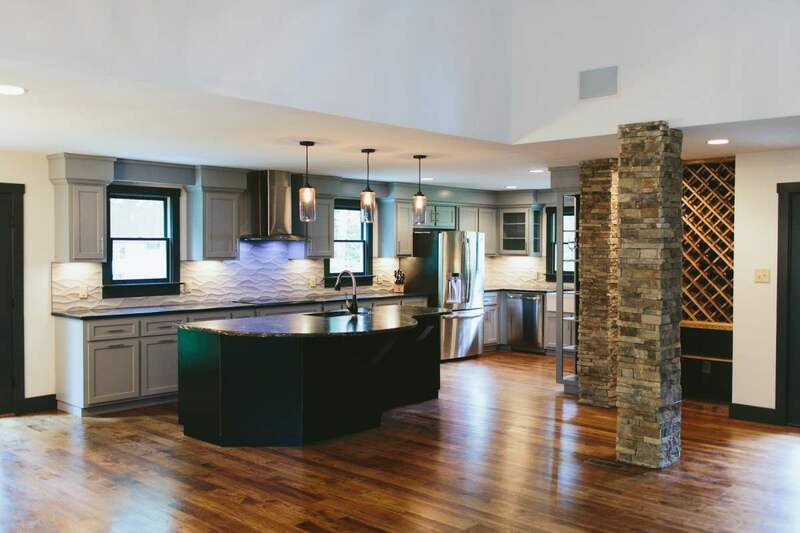 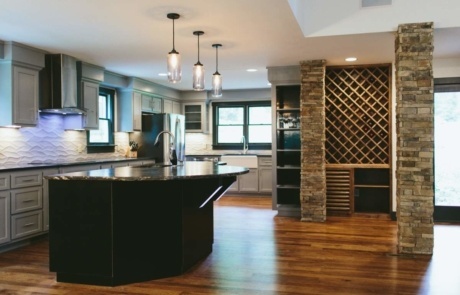 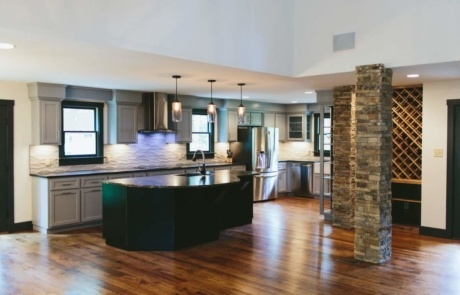 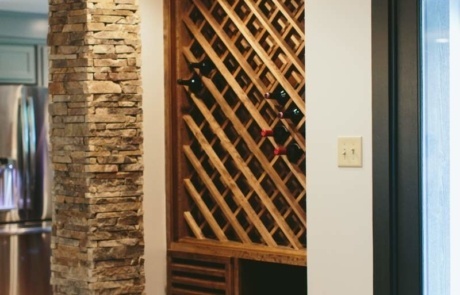 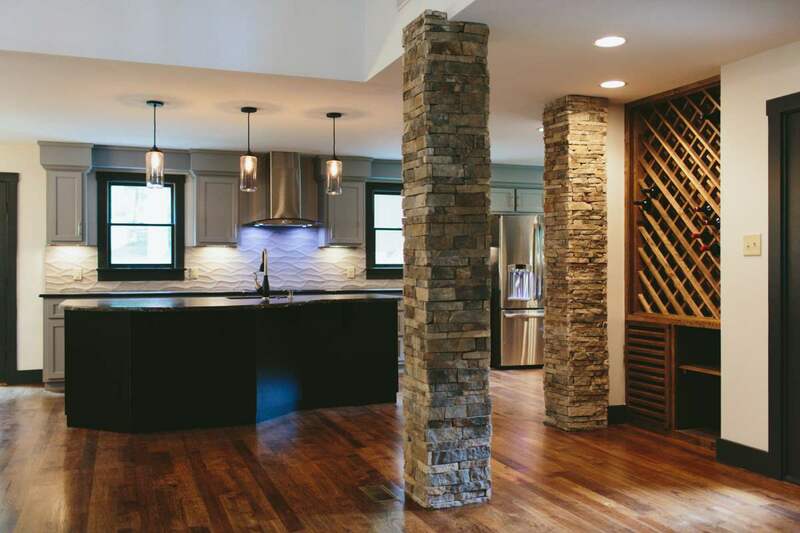 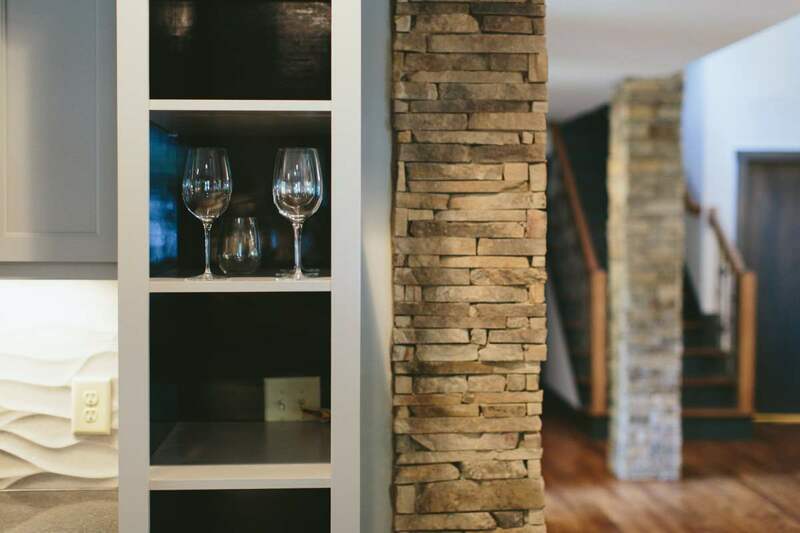 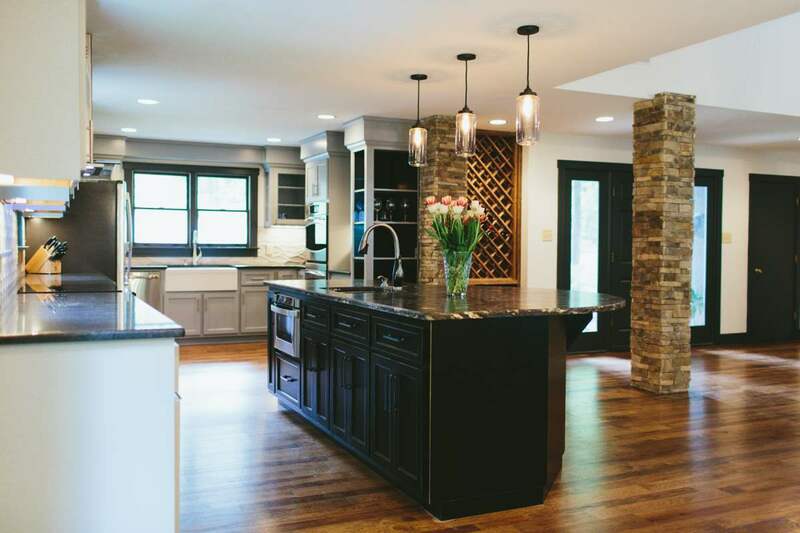 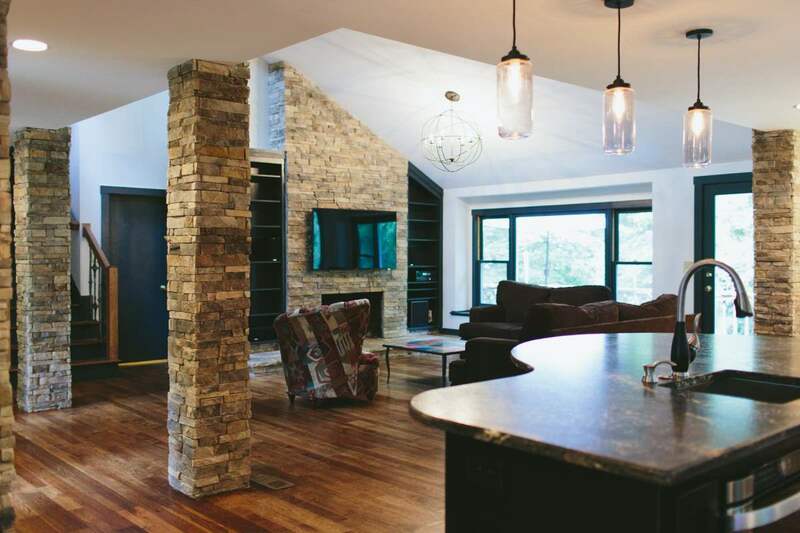 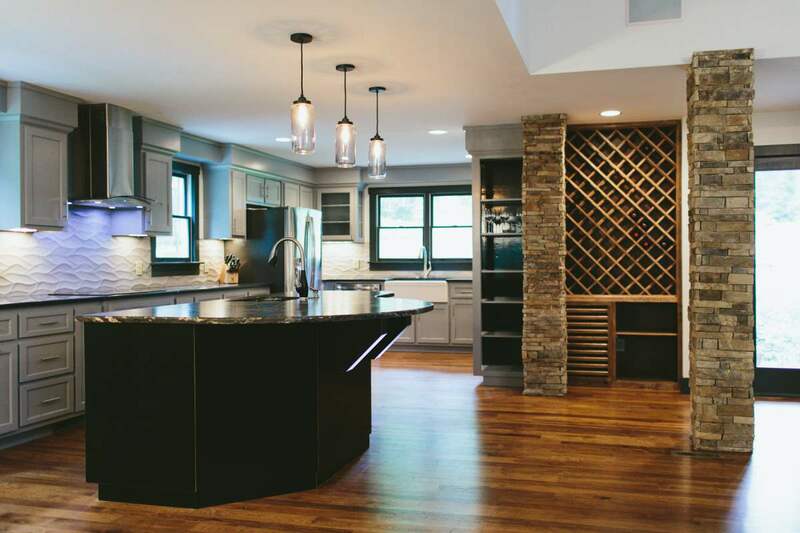 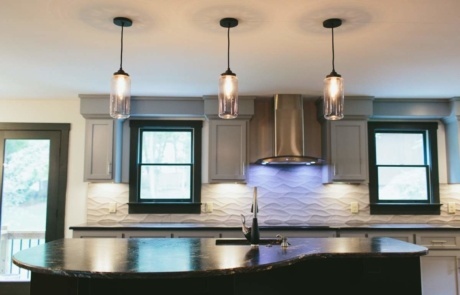 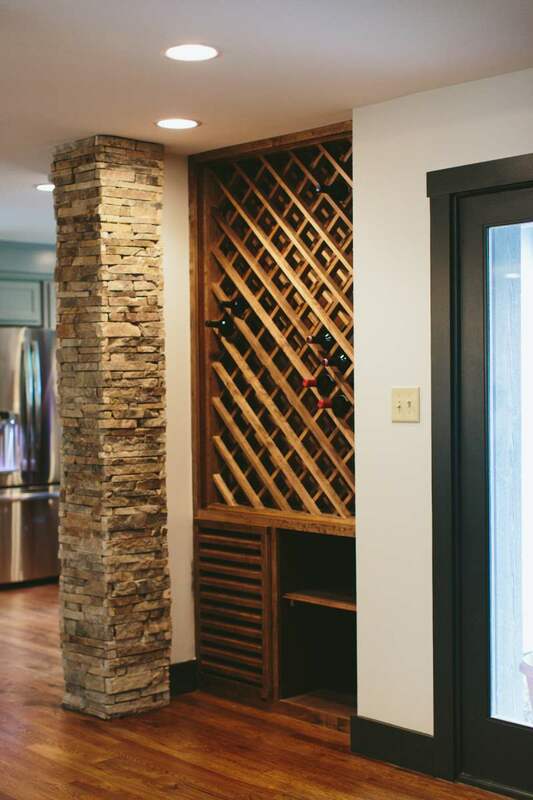 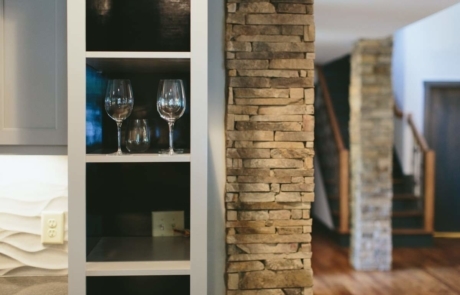 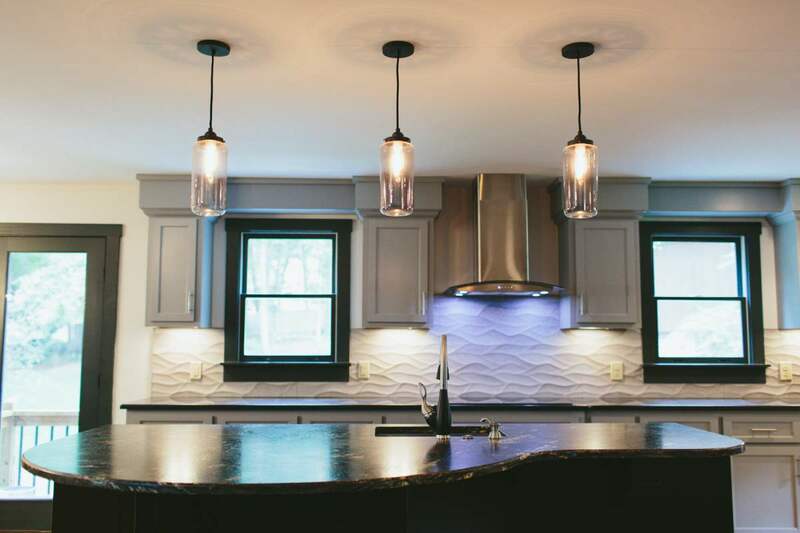 Some of the focal points include real stacked stone columns which blend the stone from the living room fireplace and draw the eye to the custom-built kitchen, where there is a cedar wine rack built into the wall. 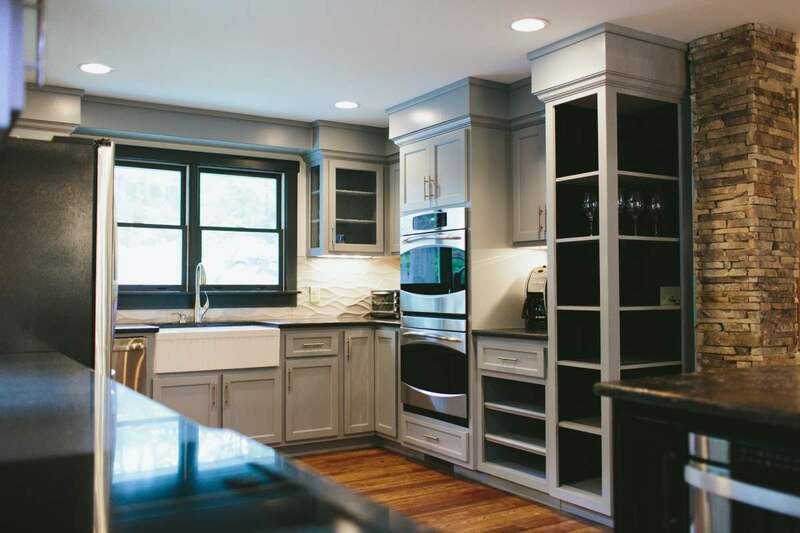 The cabinets and the soffit above them are fully custom built. 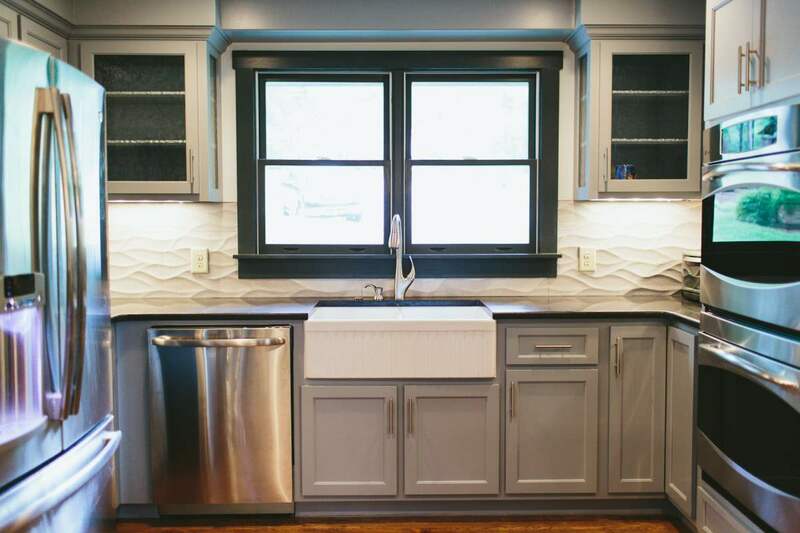 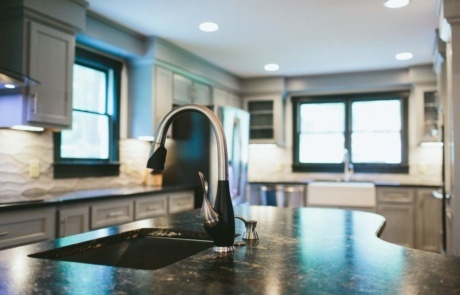 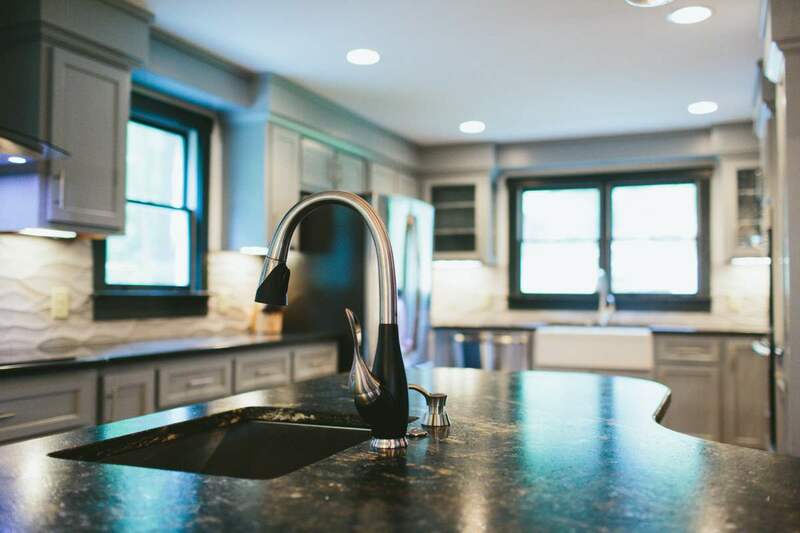 The island is a distressed black oil rubbed finish with an exotic granite counter top found only in Madagascar. 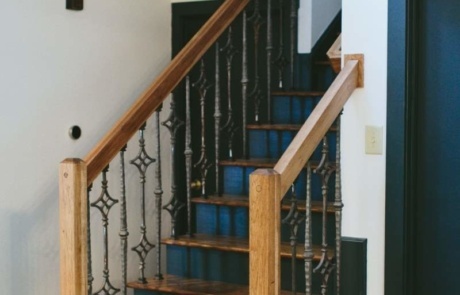 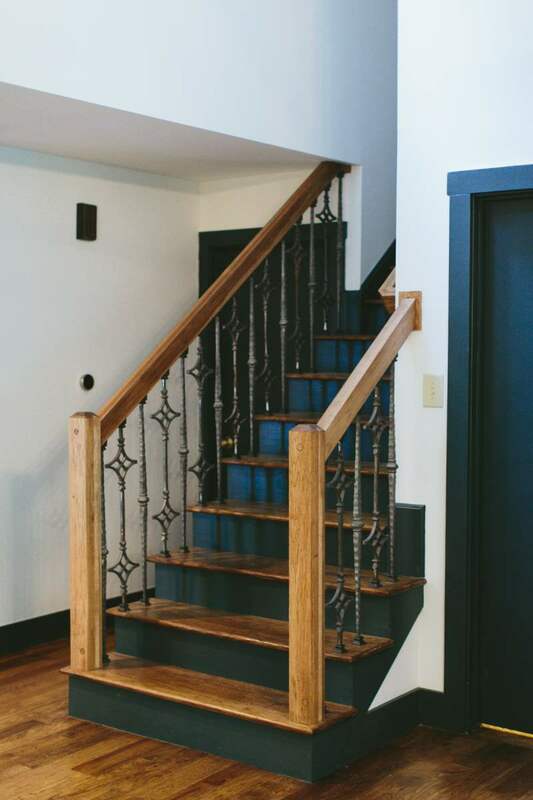 The floors are all hickory, laid in a random pattern and stained in a dark walnut color.